Good Morning Wordy Wednesday fans. 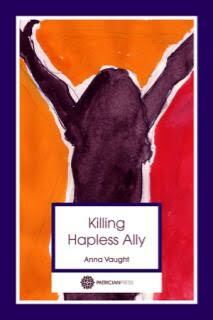 I've been managing to find you an author a week since May and this week is no exception for here, for your delectation and delight is Anna Vaught, author of Killing Hapless Ally. Killing Hapless Ally is a tale of an individual grappling for sanity and identity; a black comedy in which we discover how Alison, its curious protagonist, conceived in childhood an alter ego called ‘Hapless Ally’ in order to present a different, more palatable version of herself to her family and to the world beyond. Ominously, the alter ego began to develop autonomy. You learn how Alison had to deal with that: she had a lot of help from a varied catalogue of imaginary friends! The book is about serious matters: fear, confusion, dark days of depression and breakdowns. 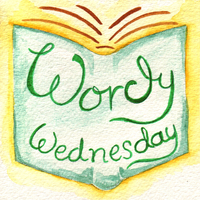 It carries with it a timely message to anyone poleaxed by depression and associated problems – or any reader interested in the windings of such things. You can, like Alison, survive and prevail. Ah, but how would you do it? If you had to – to survive – would you kill for it? Now that is an interesting question. And so I sat Anna on the metaphorical interview chair, handed her a metaphorical cup of tea, and began the interview. 3 things (not including paper, computer, pens) would you like to facilitate a good days writing? 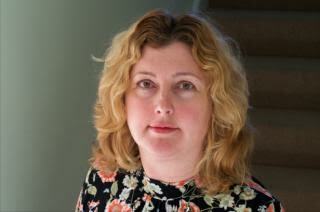 Ideally, the kids need to be out BUT in fact I often wear earplugs! Well, I've got three young boys, I run a business...it's when I can! The general maxim is that you need to write ten books to make it your main income, I gather! Some do it on fewer books, I know, but very few people do it without the day job. I'm a secondary English teacher, but generally I'm running my own business teaching students in small groups or one to one. It is hectic. Coffee first thing; tea at all other times. I use twitter and I love it. I think using social media is essential. Right now, I'm building my profile. I feel a bit embarrassed; a bit exposed. But it has to be done. If I don't believe in my book and get it out there, why should others? I know from other writers - agented or unagented - that you have to put yourself out there and, yes, social media is a key part of that. Twitter's the best for engagement. If you could genetically cross an animal with a fruit or vegetable what would you choose and why? I'm currently keen on a Squirrel Leek - purely so I could shout 'oh no, a squirrel leek!' if I saw one .. If money was no object what would you buy your favourite person for Christmas? Huge thanks for answering my often off the wall questions. Good luck with you future projects. Killing Hapless Ally is out in February.